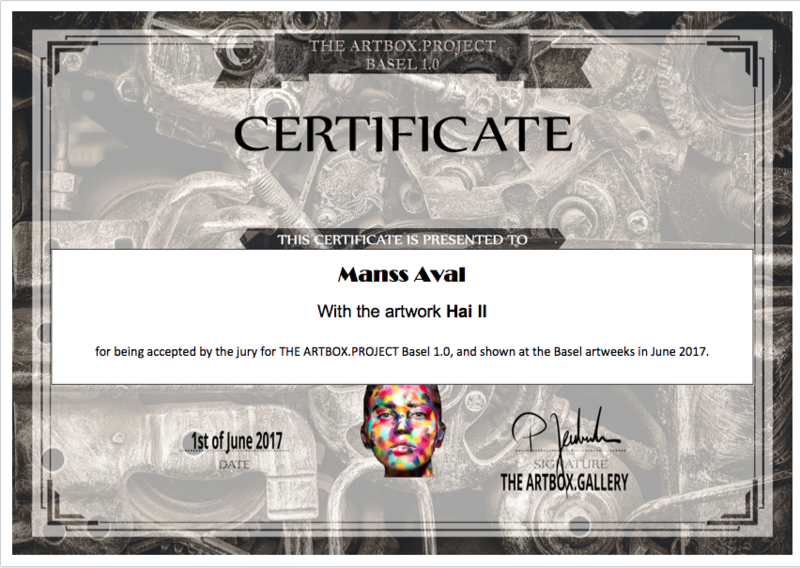 Artist Manss Aval’s art, Hai II , has been awarded by the ArtBox Project 1.0. The ArtBox.Project jury members recognized Manss’ work this month and selected it for inclusion in the ArtBox.Projecr 1.0 exhibit. Manss Aval’s art will also be displayed during the Basel Artweeks 2017.